We have served our amazing dough to thousands of people with gluten issues – our owner has his own gluten sensitivity! 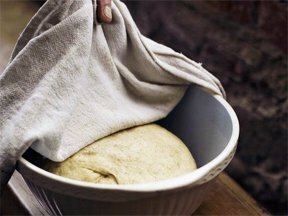 Gluten issues are directly related to how we grow, process and make wheat products. 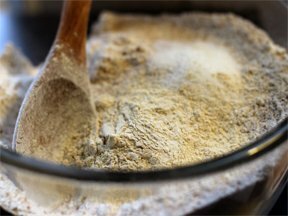 Processed flour has nutrition (hence fortified) and natural yeast removed by grinding at high temperatures; then bathed in chlorine oxide and irradiated all done to preserve a long shelf life. 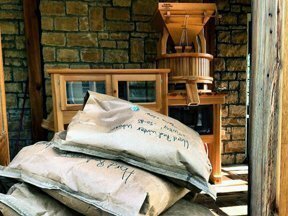 We low speed fresh grind our heritage grain per order to preserve natural nutrition and aid in digestion. First sprayed with pesticides and insecticides; then the processed seeds are treated with fungicide and even if organically grown still may be stored in silos lined with vermicide and rodenticide before grinding. We only use heritage ancestral grain that is non-GMO, kosher and chemical free certified by a laboratory. A new yeast was cultivated by Fleischmann to help during WWII to make wheat products faster and remove the need for artisan labor, but creating gluten sensitivity and digestion issues. 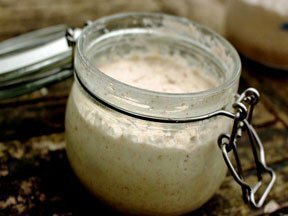 We use a starter and mother dough made with natural yeast needed to break down gluten and alleviate digestion issues. These new quick rise breads drastically reduced the fermentation time of dough. Fermentation allows Lactobacillus bacteria to consume starch and convert it to lactic acid; break down gliadin proteins; activates phytase to dissolve phytates; greatly reduce glycemic load and improve insulin response; protect against Candida Albicans; shorten the gluten protein strand; produce metabolic by-products that help us break down gluten. Gluten sensitivity is a direct creation of our modern processing. Artisan pride and the quality of our food makes us unable to make a gluten free dough which is not high on processing, empty calories and chemicals.